South Beach is located at the southern tip of Miami Beach known as the Art Deco District and has come a long way since the hot TV show Miami Vice first showed the world Miami Beach and its stunning beauty in the 1980’s. After seeing the beaches and Art Deco buildings on the show, South Beach became the hot location for the fashion industry. The beach came alive with models, photographers and designers coming in droves from all over the world. All the fashion magazines and catalogs were shooting their photos with the beautiful South Beach scenery as their backdrop, along with the big budget Hollywood movies coming in an filming their star studded films. South Beach was reborn and transformed into an entertainment Mecca with new trendy hotels restaurants and night clubs, The South Beach nightlife became America’s Côte d’Aur. What a hot spot it has become, people from all over the world come to enjoy the beautiful beaches relax in the hip Miami Beach hotels and dine at the trendy international restaurants. After that amazing dinner its time to dance the nights away in the famous South Beach nightlife. South Beach hotels are super trendy, from the chic smaller boutique style hotels to the wonderful luxury hotels with breathtaking views of the beach and the crystal blue ocean. Many of these hipster hotels have amazing pool areas with hot pool pa rties day and night. After your sun filled beach days and dancing till 4:00am you may be looking for relaxation but you don’t have to go far because many hotels have incredible spas with all the pampering services you will need from deep massages to pedicures. 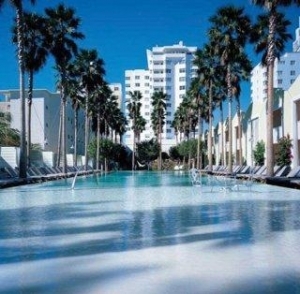 Miami’s South Beach also has a vast variety of tantalizing restaurants to choose from with very trendy atmospheres. South Beach has become a celebrity chef destination. Many top chefs from around the world have opened restaurants or come to guest chef at Miami Beaches top restaurants. The famous Food and Wine festival is a amazing event that is held in South Beach every year. Getting dinner reservations at South Beaches top restaurants at the time you like to dine can be no easy task. VIP South Beach will make your dinner reservations before you arrive in town to insure you are at restaurant of choice at the perfect time. South Beach is know for its incredible nightlife. 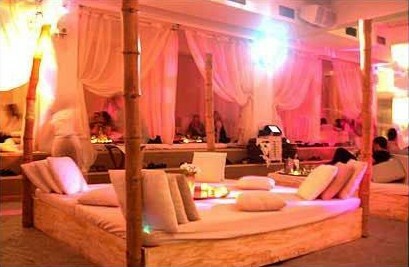 The South Beach night clubs are some of the best in the world featuring top DJs and spectacular club designs. The clubs and lounges attract all types of people, from the rich and famous celebrity crowd to hipster club hoppers and bachelor/bachelorette parties. The South Beach nightlife has something for everyone. The night clubs in Miami Beach are notorious for being very hard to get pass the velvet ropes. Doormen are know to make you wait for hours or not let you in at all. VIP South Beach nightlife services are a great way to make sure you get into the hottest South Beach Miami night clubs right away without waiting in long lines or big crowds. Each night certain clubs are really hot and it all depends on the event and the club promoter for that particular night. The best South Beach promoters bring in the models, hipsters and celebrities for the upscale crowd and hot party scene. The nightclub VIP table bottle service rooms are packed with A list crowds partying into the early morning hours. 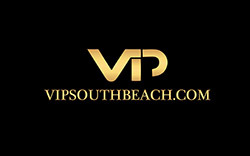 VIP South Beach is Miami Beaches premier VIP services company and will ensure you are in the hottest night club parties without waiting making all your reservations so your South Beach experience is a great one. We offer the best premier Miami nightclub party packages to Miami’s top nightclubs. Miami Beach is a great place for shopping, Lincoln Road is a very popular outdoor mall with a variety of contemporary stores. Ocean Drive and Collins Ave also have many retail areas for shopping. If you are in the mood for a drive, the Bal Harbor Mall is about 20 minutes from South Beach. Bal Harbor has many high end retailers like Gianni Versace and Armani. You also may want to head to Downtown Miami which has an indoor outdoor mall called Bayside which is only about 10 minutes from South Beach. If you like daytime activities there is a wide array of tours to choose from. There is the South Beach Art Deco District tour that also takes you to the celebrity mansions located on Star Island. This tour is unique due to it is by a land sea vehicle. The city of Miami tour includes Little Havana and Coconut Grove. For those who enjoy gambling there is also a casino cruise leaving everyday and night from South Beach. If you like water sports and activities Miami Beach has parasailing and jet ski rentals. After a long day and night of fun in South Beach you will have reserve one afternoon to go to one of the Miami Beach spas. The spas at the hotels are an amazing oasis of relaxation and you will really enjoy them, they all have great spa packages. South Beach with its endless amounts of nightlife and daytime activities is definitely the hot place where there is something for everyone to enjoy.